Mid and East Antrim Borough Council is progressing proposals to refurbish a number of war memorials. 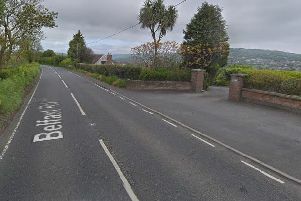 The local government authority is seeking planning approval for projects in Larne and Greenisland. The former will see work at Inver War Memorial, including the erection of two stone-cladded pillars, three low-level walls, new paving and street furniture. The green light is also being sought from planners for restoration at Knockagh Monument, including various site works.